Thank you for your interest in working with ASPB to support plant scientists! Contact us if you have questions about the opportunities listed here, or to discuss your custom sponsorship needs. Want to "adopt a lab" by sponsoring a specific research project? Contact us for more information! Interested in sponsoring a workshop about a specific topic? Contact us to find out what's available, or to discuss designing your own, online or in-person. Members can sponsor their own students’ or postdocs’ ASPB membership. This sponsorship provides a $5 discount on your dues for each membership you sponsor. Pricing is variable depending on how many students you would like to support! Contact us for more information. The IPMB Congress is a triennial meeting that has been gathering 1500-2000 plant molecular biologists from all over the world since 1984. Want to work with us to create a new content product that would provide value to the plant science audience, such as a project deliverable that is specific to a particular research area? Contact us to discuss your ideas. Work with us to design a custom webinar on a specific research topic. Want to design your own topical meeting or workshop? Have a particular research area, application or technology in mind to explore with our plant science community? Sponsors are invited to contact us to discuss collaborating on the development of an individual podcast or a mini-series (four episodes) on a specific research topic. Our weekly "What We're Reading" column - a curated roundup and summary of hot research papers. Plant BLOOME—Managed by the ASPB Education Committee, the Plant Biology Learning Objectives, Outreach Materials & Education (BLOOME) Grant funds projects to advance youth, student, and general public knowledge and appreciation of plant biology. This sponsorship supports travel for a BLOOME awardee to the Plant Biology annual meeting. ASPB self-publishes two renowned scientific journals - The Plant Cell and Plant Physiology, and co-published Plant Direct with the Society for Experimental Biology and Wiley. Focus Issues are special editions of Plant Physiology that focus on one or more specific research topics. Established in 1926, Plant Physiology is an international journal devoted to physiology, biochemistry, cellular and molecular biology, genetics, biophysics, and environmental biology of plants. Plant Physiology is one of the world's oldest and most well-respected international plant science journals, with the most citations of any journal in the plant sciences. Plant Direct is a new open access, sound science journal for the plant sciences that gives prompt and equal consideration to papers reporting work dealing with a variety of subjects. Topics include but are not limited to genetics, biochemistry, development, cell biology, biotic stress, abiotic stress, genomics, phenomics, bioinformatics, physiology, molecular biology, and evolution. The ASPB Ambassadors program helps develop future leaders in the plant science community. The ASPB News is the Society’s bi-monthly newsletter, distributed online and in print to all Society members. ASPB supports 5 geographical sections across North America and one interest-based section, all of which potentially have sponsorable activities, both online and in-person. Open to exceptional undergraduate and graduate students studying plant biology, the ASPB Scholars program delivers an experience intended to serve as a foundation for a career in plant science. COMING SOON - Learning Modules are online, on-demand courses that combine multiple webinars and other educational content for a cohort of participants at a time. These are currently in development and we welcome your interest during the formative stage. Workshops and activities hosted by Primarily Undergraduate Institutions; educators supporting each other. SURF fellowships help undergraduate students from the across the U.S. and abroad participate in immersive plant biology research experiences over ten consecutive weeks during the summer break period. Want to talk to us about a grant you'd like to offer to plant scientists? Contact us! Platinum, Gold and Silver level partnerships are longer term, multi-channel packages with a pre-selected combination of sponsored activities. Each pre-assembled package is simply a starting point for discussion; they can be customized to fit your specific needs. The Taproot podcast digs beneath the surface to understand how scientific publications are created. Teaching Tools are customizable resources that support those who teach plant science at the university level. A highly competitive opportunity for early career scientists to receive direct travel support and a waiver of registration fees to attend an ASPB educational event. The Plant Science Today blog is dedicated to facilitating an ongoing conversation around the importance and relevance of plant science around the globe. Help support individual students to attend ASPB powered meetings. Meeting registration fee (one registration), several registrations for one meeting, or multiple registrations across multiple meetings (for one student or several) are a few of the options available. Specific registration fees vary by meeting. Contact us for details. Are you interested in getting in front of researchers at the cutting-edge of computational biology, image capture and analysis, and other aspects of plant phenomics? Focus Issues are special editions of one of ASPB's two self-published scientific journals, Plant Physiology, that focus on one or more specific research topics. A series of monthly online webinars and workshops by and for the broader plant science community - plus the opportunity to work with ASPB to sponsor and design your own. The Plantae career center provides online access to plant science jobs, career-related resources, discussions and more. Plant Biology is the best opportunity to reach the current leaders of the global plant biology community, as well as the next generation of plant scientists. This renowned gathering is one of the largest plant science meetings in the world. The IPMB Congress is a triennial meeting that has been gathering 1500-2000 plant molecular biologists from all over the world since 1984. IPMB2018 was held in Montpellier, France; IPMB2015 in Brazil (Iguazu), IPMB2012 in S.Korea (Jeju Island), and IPMB2009 in the USA (St. Louis). Each of the previous meetings demonstrates the importance to develop multidisciplinary approaches to address climate change and population increases. IPMB2021 will likely be in Australia, following up with an attractive scientific program highlighting high impact recent discoveries from basic molecular biology to crop biotechnology. The rich combination of plenary and parallel sessions will demonstrate the importance of plant molecular biology in developing ecologically sustainable farming practices. Want to design your own topical meeting or workshop? Have a particular research area, application or technology in mind to explore with our plant science community? Let's talk about how we might build a program around that, whether: online or in-person, for a small group or as part of a larger event, as a one-off workshop or as a year-long program. Contact us with your ideas. Your company highlighted in the audio introduction of the podcast. Your company’s logo, along with a short description and image, appear on the weekly posts on the Plantae blog. ASPB supports five geographical sections across North America and two interest-based sections. Each has its own in-person meetings and events, as well as a network on Plantae.org. See here for details about sections, and contact us to learn more about sponsoring a program in conjunction with a particular section. Contact us to inquire about a specific section or learn more about all of the sections. Open to exceptional undergraduate and graduate students studying plant biology, the ASPB Scholars program delivers an experience intended to serve as a foundation for a career in plant science. Applications welcome from any country. Students who apply to the program must be in good academic standing (verified by their Pl or department head) and must demonstrate a commitment to plant science. See the Scholars Program details here. Workshops and activities hosted by Primarily Undergraduate Institutions; educators supporting each other. The Primarily Undergraduate Institutions (PUI) section is the second theme-based section within the American Society of Plant Biologists. It was approved by the ASPB Council and Board of Directors in December 2017. This section represents anyone interested or associated with Primarily Undergraduate Institutions (PUIs), either as faculty, undergraduate students, graduate students or post-docs interested in a career at a PUI, or individuals with collaborations or other connections with PUI institutions. 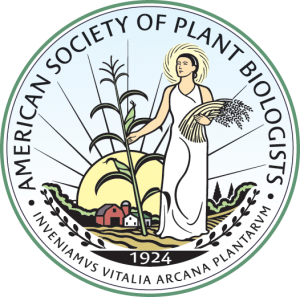 Our goal is to expand PUI-associated activities and resources, with the hope of establishing a community, through ASPB, that supports and engages PUI-affiliated members on a year-round basis. See more info here. Want to talk to us about a grant you'd like to offer to plant scientists? Contact us! Here are some of the grants we already have that support our plant science community. See Phenome2019.org for more details. Advertorials (two per quarter) are also available. Plant Biology is the best opportunity to reach the current leaders of the global plant biology community, as well as the next generation of plant scientists. This renowned gathering is one of the largest plant science meetings in the world. The Plant Biology Meeting is hosted by ASPB every year in different locations around North America. In 2018 the meeting took place in Montréal, Canada; in 2019, it will be located in San Jose, California. Plant Biology conference attendees typically come from three dozen countries and from states across the US. There are many opportunities to sponsor activities during a Plant Biology meeting. You may see examples of the level of learning and interaction on the Plant Biology conference website and you can find descriptions of sponsorable opportunities in the current Plant Biology Exhibitor Prospectus. Already familiar with what you want to sponsor? Go to the Opportunities Form by clicking on the green MAKE SELECTIONS button below or contact us.